‘Revelation IIKA’ for Anaiikka by Kanikka Salluja saw mirrorwork highlights on dhoti saris, leather bustiers, peplum blouses, satin skirts and electric blue net-kurtas. 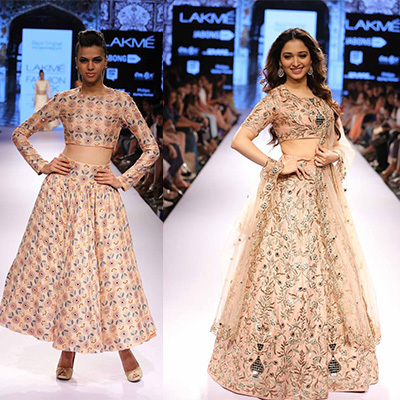 Payal Singhal’s ‘Palace of Mirrors’ collection featured pleated floor-skimming skirts, tiny body-con cholis, fluid maxis and elegant shararas and churudar skirts. Urvashi Joneja’s assemblage combined new interpretations of old classics, gingham checks, cigarette pants and collared white laser-cut capes. 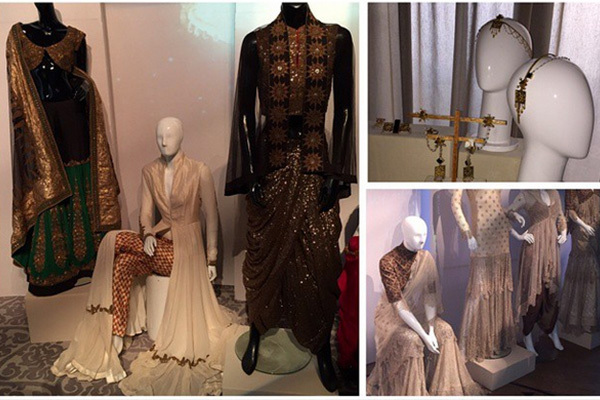 Anand Kabra‘s showcase was a treat with outfits like patialas, lehengas, shararas teamed with jackets and dupattas in golden and rust hues. The exquisite mulmuls, delicate lace work and argyle patterns added value to the complete range. Pankaj and Nidhi found a colourful inspiration in traditional Iznik pottery of Turkey. The designers known for their intense experiments with prints, offered sharply cut shift dresses, crop tops, jumpsuits, maxis and powerful monochromes. Op art prints, solids and laser cut detailing lifted the collection. 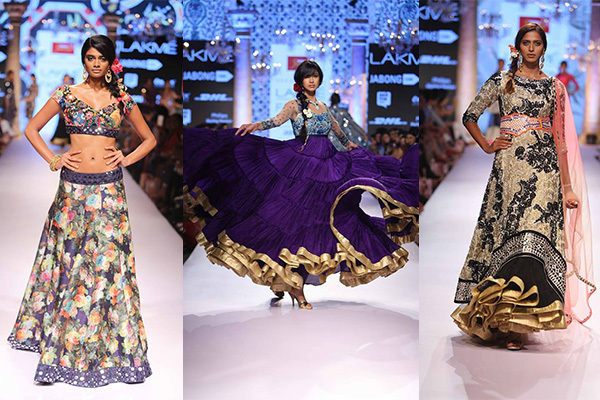 Suneet Varma‘s collection titled ‘Decorative Arts of India’ closed the day with a glittering runway. Inspired by the gorgeous traditional motifs and crafts of Gujarat, Rajasthan, Punjab and southern India, Varma presented amplified mirrorwork detailing on tiered full-flared lehengas, two-piece saris, tiny boleros, fitted pants and patiala salwars. In case you missed it: Opening show, Day 1, All Access Day 1, Day 2, Day 3, All Access Day 2 and 3.